A year after admitting its first students in 1875, Vanderbilt University in Nashville, Tennessee, established its first astronomical observatory in the third building to be erected on the growing campus, suggesting the high priority of the department for Vanderbilt’s first Chancellor, and Professor of Physics and Astronomy, Landon C. Garland. The observatory was equipped with a six-inch aperture refracting telescope built by the firm of Thomas Cooke of York, England, and a four-inch Merz meridian circle telescope also acquired in Europe. Despite being well-equipped, however, the observatory did not have an astronomer and was not well utilized. In 1883, at the urging of the Dean of Engineering and a group of local citizens, the university placed Nashville native Edward Emerson Barnard in charge of the observatory. Although Barnard lacked formal education and was only twenty-six years of age, his training in a local photography studio and his growing reputation as an amateur astronomer with several prize-winning discoveries to his name made the young Barnard the ideal candidate to oversee the observatory. Along with taking his first courses in mathematics, physics, and foreign languages, Barnard furthered his astronomical research and made several key discoveries, including seven comets and new nebula, during his career at Vanderbilt. In 1887, he joined the staff of the newly formed Lick Observatory in California and relocated to the Yerkes Observatory of southern Wisconsin in 1896. Barnard remains one of America’s most noted astronomers for his discovery of sixteen comets, the fifth satellite of Jupiter, and Barnard’s Star, as well as his successful application of photography to stellar astronomy, his micrometer measurements of stellar positions, and his research of dark nebulae. 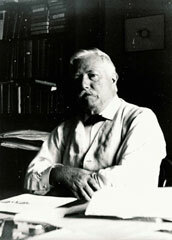 After Barnard’s departure from Vanderbilt, the university remained proud of its early association with E. E. Barnard. Although he never graduated Vanderbilt, Barnard did receive the only honorary academic degree Vanderbilt has ever awarded. The Barnard Observatory, named by the Vanderbilt Board of Trust in 1942, was razed in 1952 and its telescopes placed in storage. The six-inch telescope, now known as the Barnard telescope, remained in storage until 1973, when it was installed in the dome of the Stevenson Center on the Vanderbilt University campus. Newly refurbished in 2007, the Barnard Telescope is now at the Dyer Observatory. Bricks from the Barnard Observatory were used in the construction of the director’s residence at the Dyer site. Vanderbilt University’s acquisition of the Ferguson fused-quartz disk (also known as the Ferguson Telescope) began around June 1943. At that time, Dr. Harlow Shapley of the Harvard College Observatory in Cambridge, Massachusetts approached fellow faculty member Dr. William Yandell Elliott about the likelihood of financial support from Vanderbilt University (specifically from an alumnus or a trustee) for the construction and maintenance of a telescope, if the mirror and mounting were donated to the school. Elma Ferguson and Grace Ferguson Haugh, daughters of John Ferguson, who had worked on the development of a fused-quartz mirror for General Electric (GE) in Lynn, Massachusetts, were interested in donating the mirror to a university as a memorial to their father. In 1943, the mirror was already fifteen years old and was located in a barn at the former family farm in Eldora, New Jersey, with the mounting in another location. Elliott, a professor in Harvard’s Department of Government and Vanderbilt alumnus, contacted Vanderbilt’s Chancellor Oliver C. Carmichael about the proposal. Carmichael responded with interest in the donation of the mirror, yet admitted the university’s reluctance to accept the gift due to the lack of a suitable building on the campus to house the telescope. The Vanderbilt astronomy department’s concerns, as relayed by Carmichael, included the atmospheric conditions on the campus and the small size of the existing Barnard Observatory. A new building to house the telescope would be ideal, but the cost involved in its construction, without significant financial assistance, could preclude the university from accepting the gift. To help alleviate some of these concerns, Carmichael suggested establishing a time-limit for the donation; the university would construct a building for the telescope by five years after the end of the war. The Ferguson sisters agreed to the terms and asked Vanderbilt to go ahead and take possession of the gift, to which the university agreed. On March 16, 1944, Carmichael wrote to Elma Ferguson confirming Vanderbilt’s receipt of all of the various parts of the donation, including the mirror and mountings. While the school would not be able to fund a new building or actively campaign for donations, Dr. Francis Slack with Vanderbilt’s Department of Physics, explained to Seyfert that the administration would gladly connect him with members of the Barnard Astronomical Society and interested alumni. The donation of the fused-quartz disk had helped to renew the university’s interest in its astronomy program. Seyfert began his campaign by giving lectures on astronomy and the proposed observatory to various civic groups. Three years later, after hearing Seyfert speak at a Rotary Club meeting, Arthur J. Dyer contacted Seyfert to request his assistance with building a sundial at his home. Dyer, head of the Nashville Bridge Company, ended up being a major source of funding for the observatory and an integral part of the development campaign. As Seyfert once joked, “This was probably the most expensive sundial ever built, since Mr. Dyer, for whom the observatory is named, and his bridge company became our largest contributors” to the construction of the observatory. Together, Dyer and Seyfert found the ideal location for the new observatory about ten miles south of the main campus. For nominal fees, Carl and Eileen Gardner contributed 7.8 acres and the Louisville and Nashville Railroad Company contributed 1.2 acres on a secluded hilltop in southern Davidson County for the observatory site. As originally intended, the setting was important to the functioning of the facility. Located 1,131 feet above sea level, the shade of the wooded site protected the observatory from direct sunlight, which could negatively impact the clarity of the telescopic image. The distance and hills separating the site from the city reduced the atmospheric conditions of smoke, dust and haze, which were becoming increasingly problematic for astronomers working at the Barnard Observatory on the Vanderbilt campus. Additionally, illumination from the Nashville city lights was minimal. Construction of the observatory commenced in March 1952, after a six-year campaign described by Seyfert as being “the most exciting, sometimes heartbreaking and certainly backbreaking days of my life.” The Arthur J. Dyer Observatory and its telescope were dedicated on December 27, 1953. Arthur J. Dyer, representing the eighty firms and foundations that provided $200,000 for the observatory, presented the observatory to Vanderbilt University on this date. Chancellor Harvie Branscomb presided over the dedication and “received” the Observatory from Dyer. The 90th Annual meeting of the American Astronomical Society (AAS) commenced for three days after the dedication. It was the first AAS meeting ever held in Nashville. Many of the members of the society attending the annual meeting also attended the Dyer dedication. Regarding the new observatory, Dr. Robert McMath, AAS President, commented, “astronomers the nation over will be watching closely to see what you find here.” Dr. Harlow Shapley, astronomer with Harvard University, hailed the Dyer Observatory as “one of the ten highlights of the astronomical world” for the year of 1953. Dyer Observatory was the only graduate research observatory in the southern region and was to be equipped with “the only telescope of its kind in the world.” Vanderbilt University planned to hold most of the graduate level astronomy courses at the new observatory. The observatory’s auditorium was designed to seat ninety people and would be available for public use and for navigation training by the Naval Reserve Office Training Corps (NROTC) program. Although the primary purposes of the Dyer Observatory were research and graduate training in astronomy and astrophysics, because the community at large played such a significant part in its construction, the observatory was committed to serving the public as well. Just as when it first opened, the observatory is regularly open to the public for school tours, popular lectures, observation nights, and other programs. During the construction of the Dyer Observatory, Seyfert, his wife, and two children, lived in a trailer on the site. Once the director’s residence was completed, the family lived there until Seyfert’s death in 1960. The twenty-four-inch fused-quartz disk donated to Vanderbilt University by Elma Ferguson and Grace Ferguson Haugh was made by their father John Ferguson as part of an experimental project with GE. Although GE had hoped to produce a 200-inch fused-quartz disk for a telescope for the Mount Palomar Observatory, the twenty-four-inch disk was the largest that could be made. A fused-quartz disk was thought to be ideal for use in telescopes because it would expand less when subjected to heat than other types of glass, including heat-resistant glass, minimizing the amount of distortion (expansion creates distortion). Unfortunately, the twenty-four-inch fused-quartz disk did not work in the specially designed telescope for the Dyer Observatory and the final twenty-four -inch mirror was made of Pyrex. “Thus, although the attractive thermal properties of quartz were not to be had, the mirror blank nonetheless made a singular contribution to astronomy by being initially responsible for bringing Seyfert and an active observatory to Vanderbilt University.” The photometer, used at the Cassegrain focus, was built by Jack (John H.) and Ward DeWitt. The brothers originally used the photometer with their twelve-inch telescope located in northern Williamson County. Carl Keenan Seyfert was born in Cleveland, Ohio in 1911. He began his studies at Harvard University in 1929. Although he intended to study medicine, he soon found a greater interest in astronomy. Seyfert completed three degrees while at Harvard, including his B. S. and M. S. (1933), and in 1936, he received his Ph.D. in astronomy from the university. His dissertation was “Studies of the External Galaxies,” which was about the colors and magnitudes of galaxies. Seyfert’s advisor at Harvard was Harlow Shapley, who would later assist with facilitating the donation of the telescope to Vanderbilt University. Seyfert married Muriel E. Mussells in 1935 and the next year joined the Yerkes Observatory as part of a team of astronomers assembled to establish the new McDonald Observatory in Texas. He remained on staff at McDonald from 1936 to 1940, continuing his work on the distribution of color in spiral galaxies and collaborating with Daniel M. Popper on the properties of faint B stars. 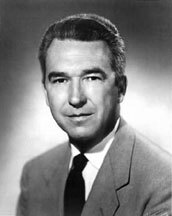 Seyfert then went to Mount Wilson Observatory as a National Research Council Fellow from 1940 to 1942 and studied a “class of active galaxies” now known as Seyfert galaxies. Returning to Cleveland in 1942, he taught navigation to the military at the Case School of Applied Science and worked on secret military research, while continuing his astronomical studies at Case’s Warner and Swasey Observatory. While at the Case School, he and colleagues J. J. Nassau and S. W. McCuskey used a new Schmidt telescope and objective prism for astronomical research. Nassau, like Shapley, would soon prove instrumental in connecting the donated telescope with Vanderbilt University. Seyfert had a distinguished career with many important contributions to the field of astronomy before his tenure at Vanderbilt. By the time of his appointment, Seyfert had published thirty papers in the field with an emphasis on photometry and spectroscopy of stars. He was well-known for his 1943 research paper “Nuclear Emission in Spiral Nebulae.” This class of galaxies is named Seyfert galaxies in his honor. Additionally, three of his color photographs of nebulae and stellar spectra, part of his work with Nassau and the first to be successfully obtained, appeared in an issue of Encyclopædia Britannica. Seyfert’s career at Vanderbilt University began in 1946. At that time, the university had a small teaching program in astronomy and still relied on the six-inch refractor first used by E. E. Barnard. Charged with reinvigorating the school’s astronomy program, Seyfert proceeded to add new courses the astronomy program and to lobby for a new observatory. Along with his university duties, he lectured to the public and was a television weatherman. These engagements enabled Seyfert to campaign for the observatory throughout the community. Once the new Dyer Observatory opened, Seyfert became its first director. Research at the new observatory focused on stellar and galactic astronomy and new instrument techniques. In addition to his innovative work with the telescope at Dyer Observatory, Seyfert worked on numerous other projects. His research included photometric investigation of photographic plates from Barnard Observatory as well as Shapley’s plates from Harvard. Seyfert first observed what is now called “Seyfert’s Sextet” in 1951. He was innovative in the use of telescopes, photography, and colors in order to get clear images through the telescope. Seyfert was elected a fellow of the British Royal Astronomical Society in 1946 and served on the council of the American Astronomical Society from 1955 to 1958. Seyfert’s other professional affiliations included the Association of Universities for Research in Astronomy (AURA), where he served on the Board of Directors, the Astronomy Advisory Panel of the National Science Foundation (NSF), and trustee-at-large with the Associated Universities Incorporated. Carl K. Seyfert died in an automobile accident in Nashville in 1960 at the age of forty-nine. He was active in the field of astronomy up until his death. The Vanderbilt University Board of Trust named the observatory telescope in Seyfert’s honor shortly after his death. In 1970, the astronomical community named a Moon crater Seyfert (29.1N, 114.6E, 110 km diam) in his honor. Carl Seyfert’s contributions to the field of astronomy are also noted through the “Seyfert Sextet,” referring to a group of galaxies he studied, and the “Seyfert Galaxies” or “Seyfert AGNs,” referring to a class of active galaxies that he discovered. Carl Seyfert is the astronomer most identified with the Dyer Observatory, but at least two other individuals should be noted. Both were amateur astronomers who worked with Seyfert before and after the current Dyer Observatory was built. Arthur J. Dyer, whose company constructed the dome, established the Nashville Bridge Company around 1902-3 and it became one of the most influential bridge building companies in the southeast. The company specialized in truss bridges but also built concrete arch bridges. The Nashville Bridge Company diversified in the 1910s and began working in the marine field and during WWI, it made oil tank barges. The 1930s saw the company expand into general construction. Dyer ceased day-to-day operations of the company in 1940 but remained chairman of the board. Dyer was also a vice-president of the American Society of Civil Engineers and on the board of the American Institute of Steel Construction. He was a member of the State Planning Board and involved in many civic organizations. Another prominent Nashvillian, John (Jack) DeWitt, donated a twelve-inch telescope to the observatory. DeWitt helped with the installation of WSM’s first radio transmitter while still an engineering student at Vanderbilt. He left school in 1929 (he eventually returned and received his degree) to work for Bell Laboratories and in 1932 he became WSM’s chief engineer. During WWII he worked on radar designs in Washington DC and after the war he applied radar technology to astronomy. Returning to Nashville in 1947, he became president of WSM radio and television. DeWitt and Seyfert collaborated on several papers based upon some of their joint research projects. DeWitt is also recognized for his work reflecting radar off the Moon’s surface, which was the beginning of radar astronomy. In April 2009, Vanderbilt Dyer Observatory was added to the National Register of Historic Places. C. R. O’Dell. “E. E. Barnard: Nashville’s Most Famous Astronomer.” Unpublished article. December 2007.
www.dyer.vanderbilt.edu/dyer_history.htm. Web site accessed 10/17/2008. One condition of the sale of the Ferguson’s family farm was the continued storage of the mirror by the new owner until the mirror could be shipped to the chosen recipient. Elma Ferguson was living in Cleveland, Ohio and Grace Ferguson Haugh was in Indianapolis, Indiana. Correspondence, Vanderbilt University Archives, College of Arts and Science, Record Group 510, Dyer Observatory vertical file. Dr. Slack was working at the Pupin Physics Laboratories, Columbia University, when Vanderbilt acquired the telescope. Correspondence, Vanderbilt University Archives, College of Arts and Science, Record Group 510, Seyfert faculty file. Robert Hardie. “Carl Keenan Seyfert [obituary],” Quarterly Journal of the Royal Astronomy Society, Vol. 2, March 1961, p.124. The Barnard Astronomical Society is an organization of amateur astronomers. Carl K. Seyfert. “The New Arthur J. Dyer Observatory,” Sky and Telescope, Vol. XIII, No. 3, January 1954, p. 72. Dyer was a Vanderbilt engineering graduate and the founder and first president of the Nashville Bridge Company, Astronomy at Vanderbilt and the Arthur J. Dyer Observatory, Nashville, p. 6. Ten dollars to the Gardners, Deed Book 1968, page 84. One dollar to L & N Railroad, Deed Book 2196, page 332. Davidson County Register of Deeds. Early list of contributions found in “Vanderbilt University Observatory 1951, Contributor of Materials and Services” page 3 of Carl K. Seyfert, “Progress Report on the New Vanderbilt Astronomical Observatory, January 8, 1852,” Vanderbilt University Archives, College of Arts and Science, Record Group 510, Dyer Observatory vertical file. Clarence T. Jones was an amateur astronomer and friend to Carl Seyfert. He also designed the Clarence T. Jones Observatory (1936) in Chattanooga, Tennessee. The Jones Observatory is affiliated with the University of Tennessee at Chattanooga. Seyfert, 72. Complete with a stage, the auditorium is a multi-purpose space designed to serve as a lecture room, planetarium and library. It measures 70-feet by 24-feet. “New Observatory Southeast’s Best,” New York Times, December 24, 1953. The lower four feet of the dome in the auditorium may be raised flush with the ceiling when not in use as a planetarium, Seyfert, 72. The telescope and planetarium domes were made using left over steel remaining from Nashville Bridge Company’s contract to build Liberty ships during World War II. The metal is coated with sand grit. Dyer Observatory staff, interview by authors on 10/28/2008. “A.J. Dyer Observatory Dedicated; New Design Featured in Telescope, ” Nashville Banner, 12/28/1953. The meeting’s proceedings took place at Furman Hall on the Vanderbilt Campus, with at least one public lecture held in Neely Auditorium. New York Times. Shapley was Seyfert’s advisor at Harvard. Ibid. In this article, “southern” refers to the region south of the Ohio River, from eastern Virginia to western Texas. This area, according to Dr. Seyfert as quoted in the article, was particularly favorable for astronomical observation when compared to the eastern or northern regions. The western region, however, is ideal. “A.J. Dyer Observatory” Arnold M. Heiser. Correspondence, Vanderbilt University Archives, College of Arts and Science, Record Group 510, Seyfert faculty file. Astronomy at Vanderbilt and the Dyer Observatory, 6.
 www.maa.clell.de/Messier/E/Xtra/Bios/seyfert.html. Web site accessed 12/9/08.